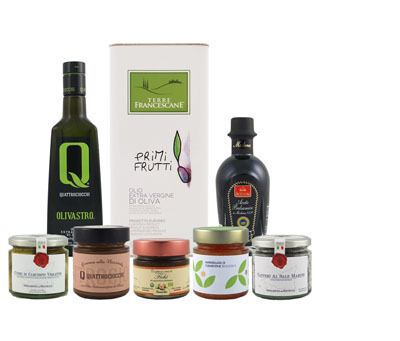 BIODYNAMIC PICUAL:The latest addition to the award-winning line of extra virgin olive oils from Castillo de Canena. Pressed from Picual olives, herbaceous notes of grasses and vegetables prevail in this fresh, lively and expressive oil. Olive leaf, lettuce and artichoke are the primary notes with fresh fruits, tomato vine and a heady touch of green banana and apple on the finish. Castillo de Canena has been making grand efforts on their estate in recent years in order to obtain Biodynamic certification including introducing sheep on their estate, manufacturing their own fertilizer through composting, and enriching the vegetal cover by installing beehives. Biodynamic agriculture is a step forward from the organic farming method. This method is based on the harmonization between the different forces that govern nature and seeks a comprehensive balance of soil, trees, animals and humanity. BIODYNAMIC ARBEQUINA: The latest addition to the certified biodynamic line of extra virgin olive oils from Castillo de Canena. Cold extracted from early harvest Arbequina olives, this fresh and expressive extra virgin olive oil stands out because of its herbaceous tasting notes of olive tree leaf, green almond and artichoke. Castillo de Canena has been making grand efforts on their estate in recent years to obtain Biodynamic certification including introducing sheep on their estate, manufacturing their own fertilizer through composting, and enriching the vegetal cover by installing beehives. Biodynamic agriculture is a step forward from the organic farming method. This method is based on the harmonization between the different forces that govern Nature and seeks a comprehensive balance of soil, trees, animals and Humanity. An award-winning, certified Biodynamic oil from Spain. Certified Biodynamic Arbequina olive oil from SpainÕs Castillo de Canena. A delicious bread-dipping accompaniment for any olive oil.